These colorful and smiley bug rattles will make any baby happy! 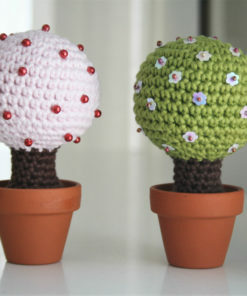 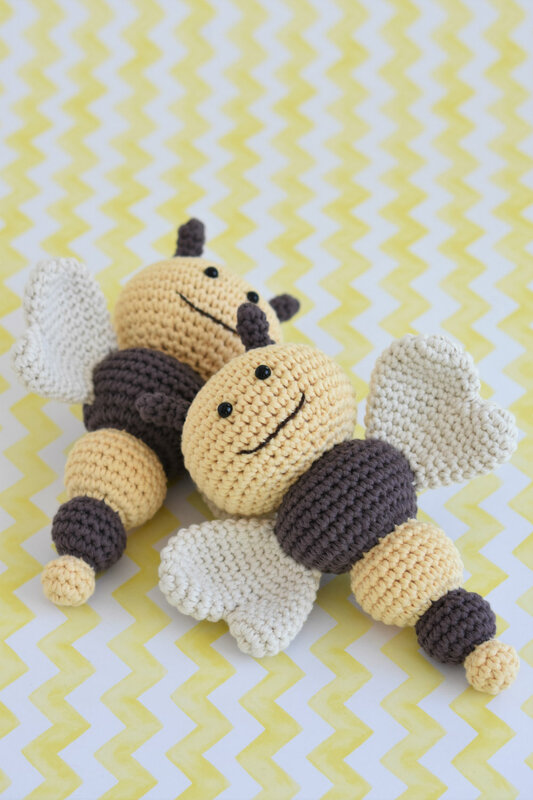 They`re easy to make and bring a lot of joy. 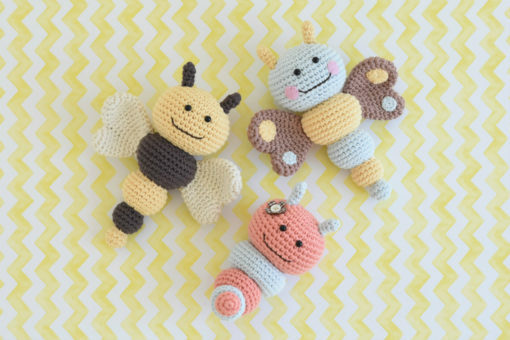 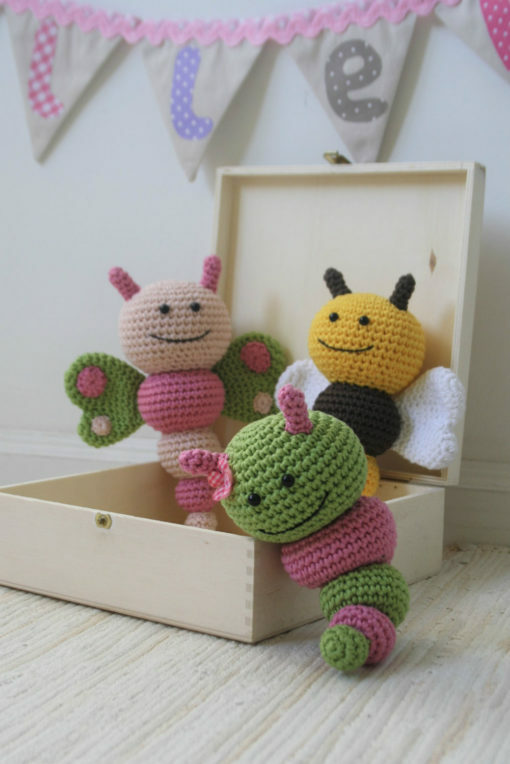 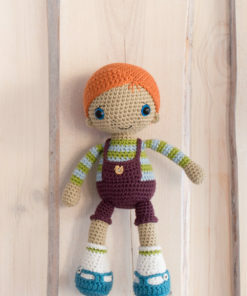 Pattern includes 3 bugs – sweet butterfly, friendly bee and nosy caterpillar. 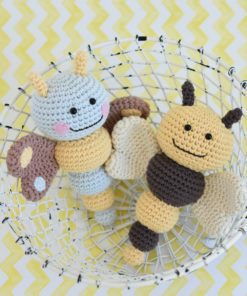 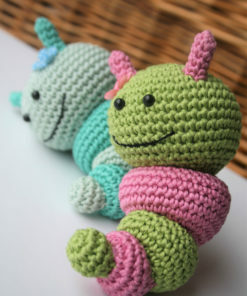 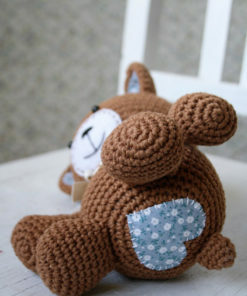 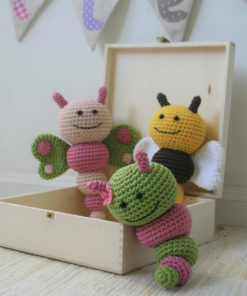 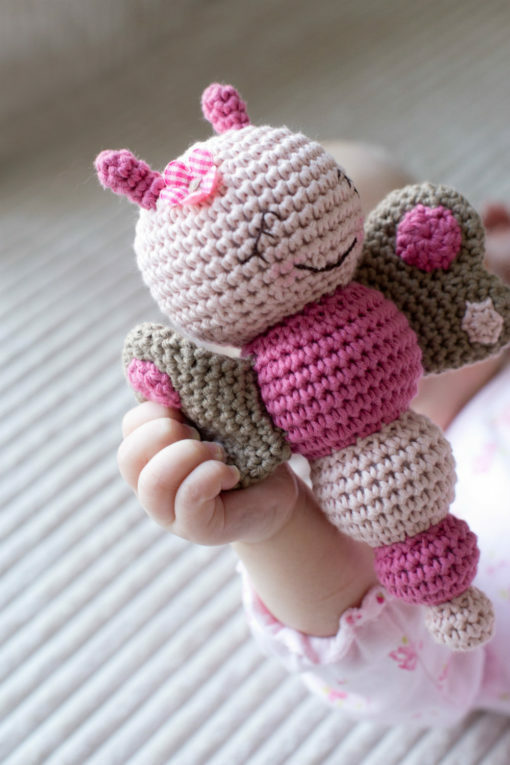 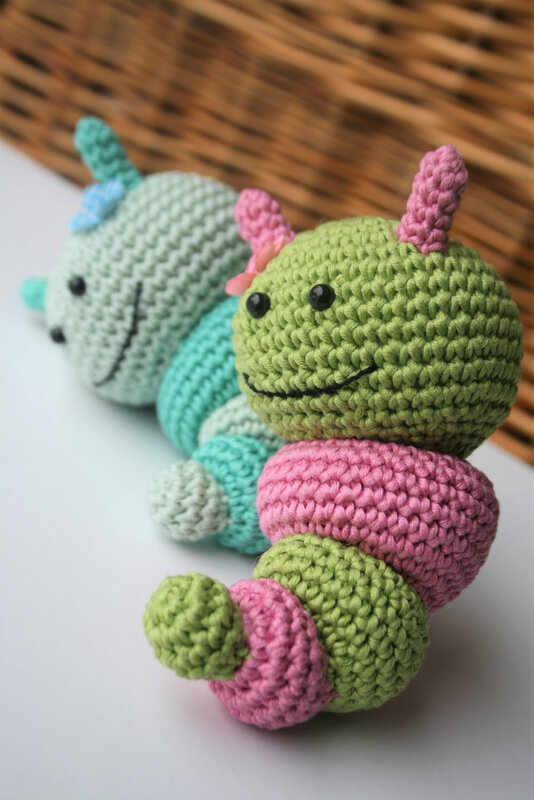 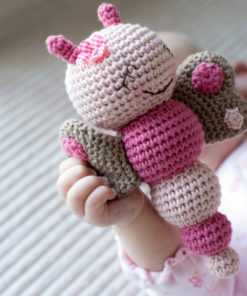 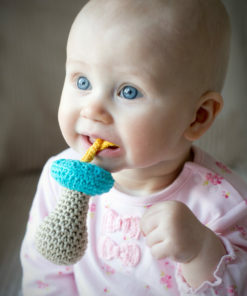 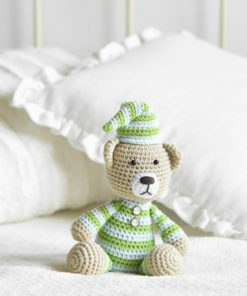 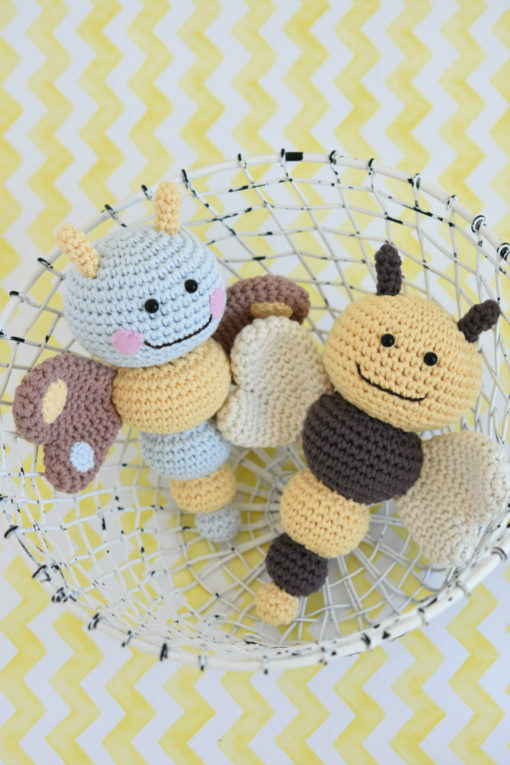 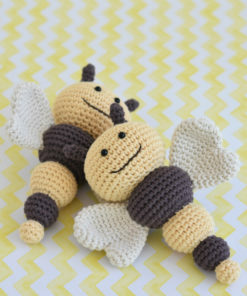 Bug rattles make a cute gift for the newborn. 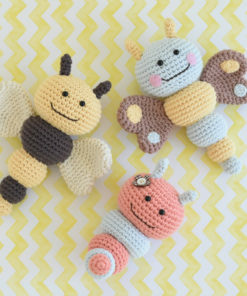 You can also hang them up to make a baby mobile. 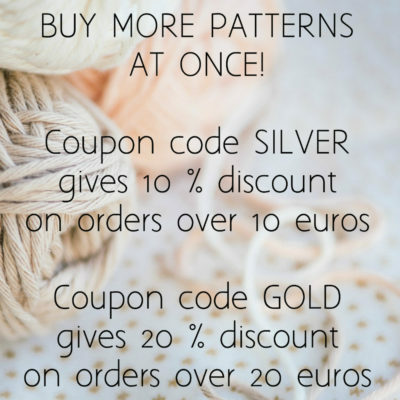 Pattern available in English, Dutch, Spanish and Danish.